Bitcoin is a decentralized cryptocurrency and a payment network. Even though the price of Bitcoin isn’t fixed and is highly volatile, many people all over the world begin to see Bitcoin as an exciting opportunity, opposed to a financial threat. It attracts venture capitalist attention and is supposed to bring even some people from the Wall Street finally. Let’s go to the basics. The supply of Bitcoins is limited to 21 million in total with 14 million currently issued on the date of the article. While Bitcoin allows you to keep your identity in a shadow, the block chain, a public ledger, has a record of every Bitcoin transaction. Part of their appeal, Bitcoins can avoid centralized banking fees and international money wiring fees. Bitcoin appeared as an alternative to US dollar, after the economic crisis and the “Great Recession” of 2008-2009. A currency’s “Global Reserve Currency” status for the majority of countries lasts anywhere from 65-70 years, on average, and the U.S. Dollar has been called a world currency for over 70 years now. It is widely used still for the estimation of the price of Bitcoin, created as its alternative and a game changer, even now. 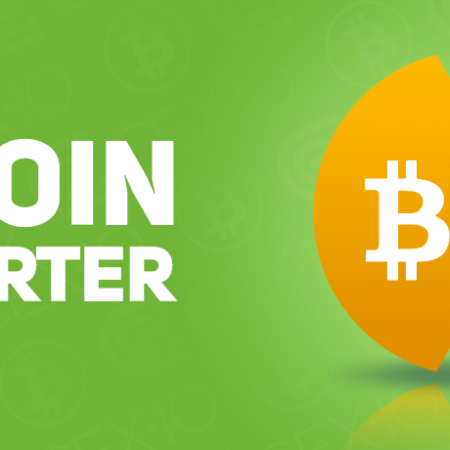 Why There Is Need for Bitcoin Converter? While many people are already prepared to dive into the Bitcoin economy head first, it still makes sense to use a Bitcoin USD converter when you’re trying to figure out the correct payment amounts for various transactions. Plenty of people around the world already get paid in Bitcoins on a regular basis, but their pay is usually pegged to the value of Bitcoins in their local currency. For example, someone who works for Bitcoins in the United States probably has their pay set in terms of dollars rather than Bitcoins. Once you got some Bitcoins, you may wonder how much would you own, if you sell them. There are few different ways to get Bitcoins: you can buy bitcoins from exchanges, or directly from other people, or you can earn them by accepting for goods or services you provide. Maybe someday you’ll be able to withdraw or deposit your money in Bitcoins in few seconds. Today, Bitcoin banking is still a perspective, but nor a reality. The reasons are connected with risk and regulations — as Bitcoin was invented as a decentralized system. Without regulation, common banks just do not work. Even Bitcoin enthusiasts, who highly appreciate cryptocurrency for its cryptographic security and pseudonymous transfers which make it like cash, usually admit challenges a user faces when dealing with money withdrawal. In the end, Bitcoin is another currency, like euros or dollars. If you want to do business, you’ll have to convert it to dollars. And where do you get your dollars in cash today? Probably a bank. And here is the major challenge. How Do Bitcoin Converters Work? The manner in which Bitcoin USD converters actually work is quite simple. First, you enter the amount of money that you’d like to receive in your local currency. For example, you could enter $20 into the Bitcoin USD converter. The converter will then spit out equivalent value of $20 in bitcoins. That amount of Bitcoins can then be used for payments in the amount of $20. 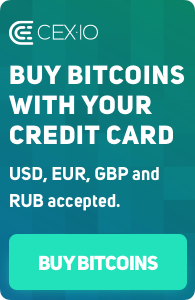 Another important aspect of a Bitcoin converter is where the tool is getting their exchange rate information. After all, a converter needs to know the current fair market value of a Bitcoin if it’s going to be able to do a conversion for you. There are many different exchange rates to choose from, and it’s usually a good idea to check the source of a tool’s exchange rate before you use it for the first time. How Can You Convert Fiat into Bitcoins? If you are trying to actually convert dollars, euros, or other forms of fiat currency into Bitcoins, then you may want to look for an actual Bitcoin exchange. CEX.IO is currently in the process of enabling fiat deposits and withdrawals, and this exchange has known to be rather populated due to the availability of Ghash.io mining contracts on the trading platform. The main rule that needs to be following when searching for the right exchange is to find a Bitcoin exchange platform that has already been around for quite some time. While early adopters may be totally happy with an opportunity to manage their encryption and figure out how to store bitcoins securely, masses will probably want to leave the issues of safety and storage to someone they trust.